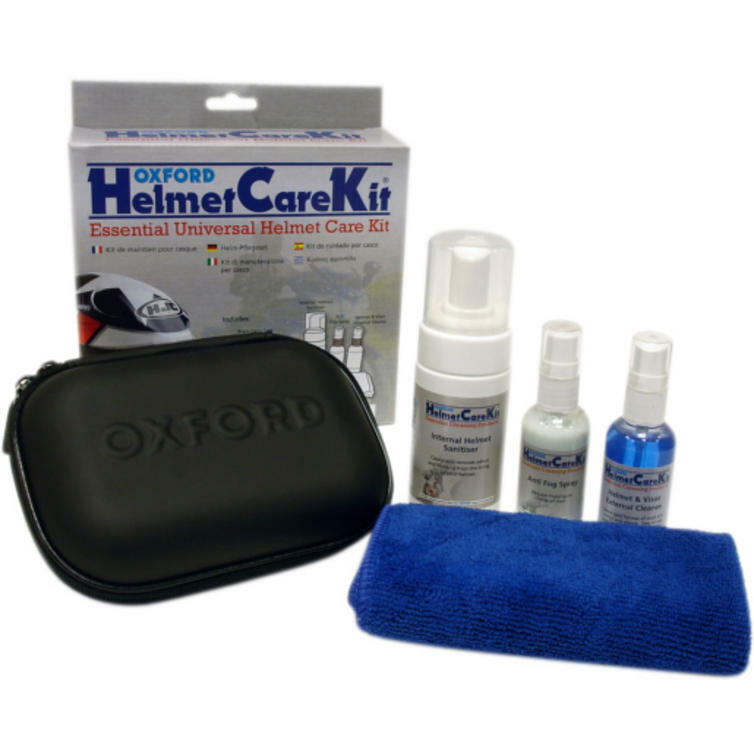 The Oxford Helmet Care Kit is the perfect gift for any keen motorcycle rider who like taking care of their kit! The helmet caer kit comes with everything you need to keep your motorcycle helmet is a supreme condition. Get yours from GhostBikes today! The Oxford Essential Helmet Care Kits are currently available in the colours shown in the product variation above, if there is no variation option, they will be available in the colours as shown in the pictures above.